But if you want to really keep your edge, then you have to consider getting a little sneakier about it. 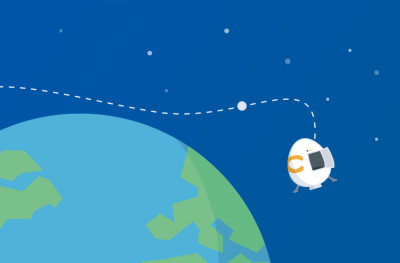 We’re going to take a look at some of the lesser known paths to increase traffic and how you can use them to consistently beat out your rivals and help your site get significantly more clicks. The internet is a social place and nowadays it’s viral power that really determines the success of online marketing. 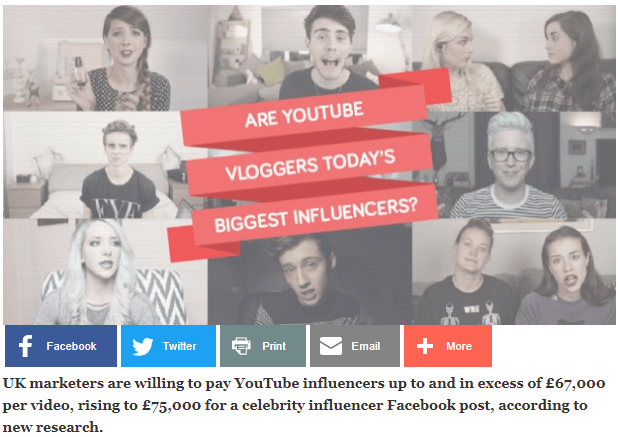 But there’s a huge amount of “viral” content that isn’t viral at all. Just take the time to thoroughly identify your target market and think about which community it’s likely to be on. 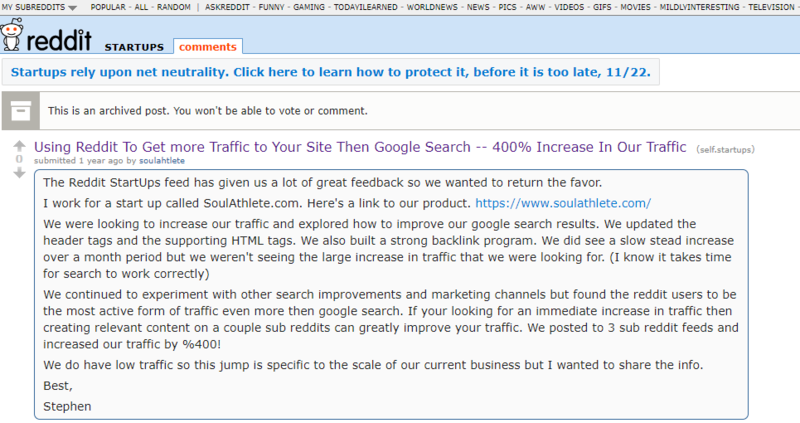 The various subreddits of Reddit are a great place to surreptitiously share a link to your site, whether it’s after a post making a point that the link elaborates on or taking on the act of someone who’s just discovered the site. There are plenty of other aggregates worth checking out, too, such as Imgur, Flickr, LinkedIn, and more. 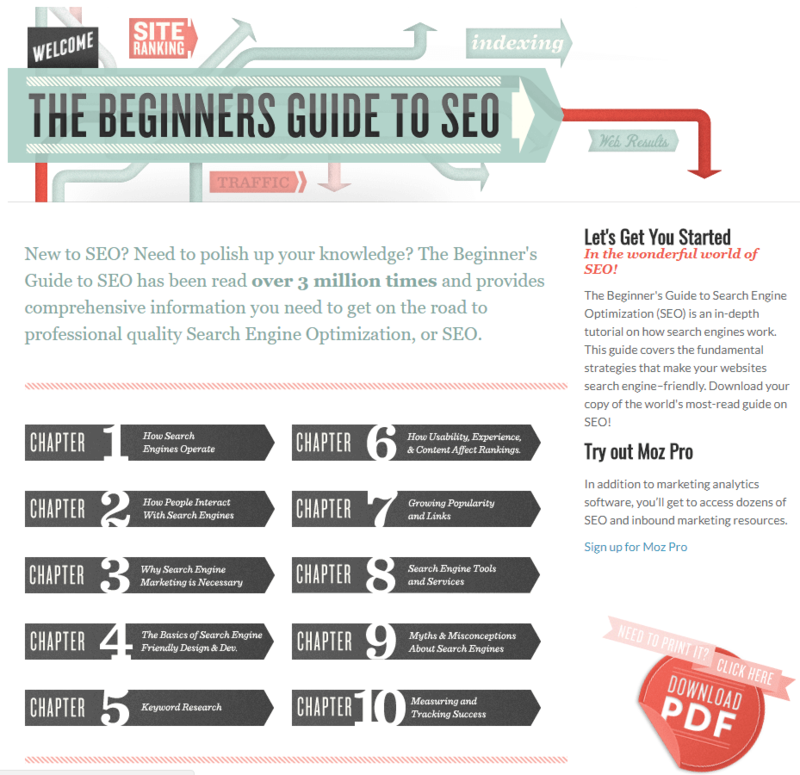 This image shows a good example of how a link is slipped into a discussion that will lead to clicks back to that url. If it’s obvious that you’re the site owner trying to plug your own site, however, you’re much less likely to get those clicks and more likely to end up getting chased off the community with pitchforks. So, be careful. 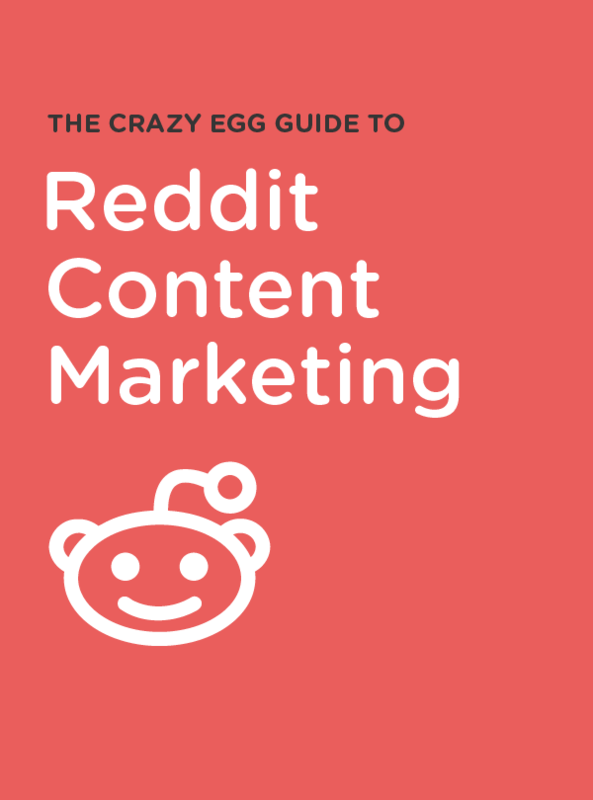 And while we’re on the subject, be sure to check out The Crazy Egg Guide to Reddit Content Marketing. 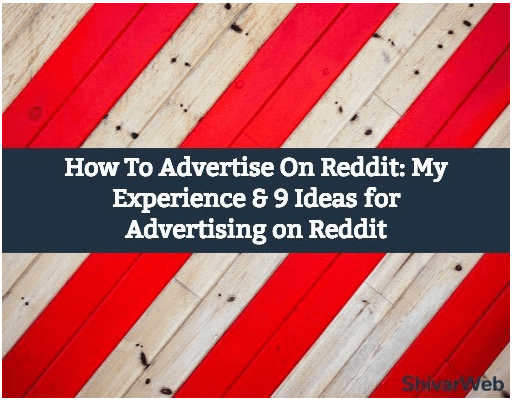 This guide is packed full of super useful tips if you want to get the most out of Reddit. With sites like Quora and Google Questions, show off your expertise and start giving answers to related questions that are just enough to convince readers you know what you’re talking about. Then leave them hanging, promising more details on your website. Don’t be afraid to keep it going, either, with the linked content leaving them with another unanswered question. Always leave them wanting more. Just make sure the content is satisfying enough to justify the time they spent reading it. It can’t be devoid of useful content. Here is a great example of giving just enough information to grab the audience`s attention and then leading them to click to your site for more information. Spend time polishing your image and copy when you try this tactic. Stay away from low-quality stock images like the one used in the above example. Influencer marketing has become a huge force in online traffic building and a significant portion of internet users still don’t entirely realize or recognize it. Influencers are still a growing marketing tool, but there is a fear the bubble is about to burst. If readers become more skeptical, the biggest influencers will be the first to go. Instead, get in touch with the hidden influencers, the up-and-coming bloggers, the YouTubers, and the podcasters who aren’t the first, second, or even third biggest in their market. 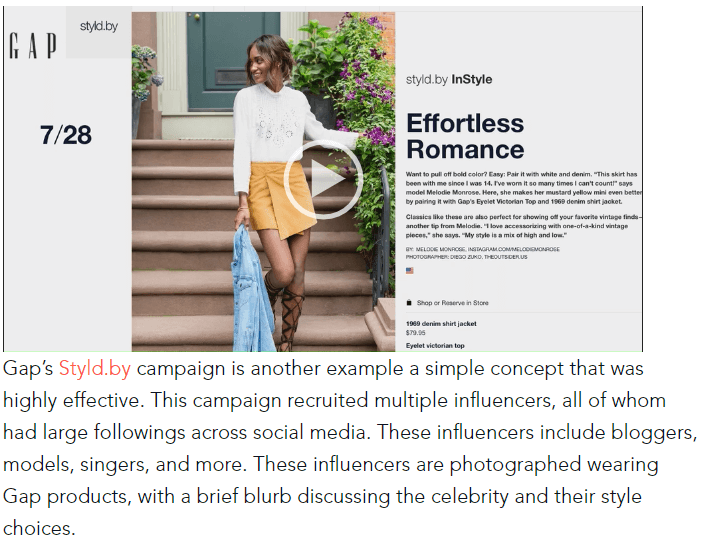 This image shows us how Gap products have been shared with influencers in the video. It’s wise to include some kind of disclosure in the deal, as stealth marketing has caught the attention of bodies as important as the FTC. Let them write their own content with guidelines as to what you want them to highlight. Listen to them if they say a point is unnatural. They know your audience better than you know their audience. Loyalty systems are a great way to incentivize referrals and drive clicks to your website. You should also consider the power of running giveaways for free with a need for no other input than sharing some content or a social media post. The amount of traffic you can get might very well pay the whole price of the prize many times over. 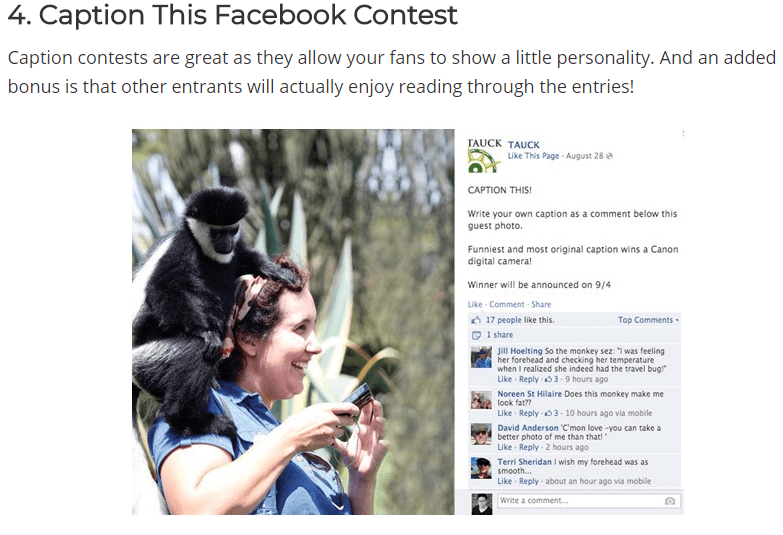 You might also host contests that make use of photo or video content made by participants. Not only do you get the clicks involved in voting, but you also get complete strangers representing the brand and providing positive social proof that it’s worth buying into. 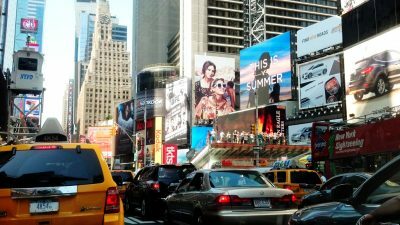 Here are some great examples of companies getting this strategy right. While building a website and a brand, you should get to know some of your biggest fans personally, especially those who are already sharing what they can and supporting the site. Choose one of them and send them a huge freebie in the mail. It could be a range of your own products or simply a package of vouchers for them to spend as they please. All you need to do is simply ask them to share it online. Acts of good companies behaving generously generate a lot of social capital. It encourages others to start clicking and getting more active in the hopes they might get the same treatment. Here we see a great opportunity for fans to write their own captions describing what they see in the picture for a chance to win a camera. You don’t just have to rely on influencers to spread your brand and build links to your site that well-established audiences are likely to read. An even-lesser known practice at the moment is that of website owners becoming contributors to other sites and writing content that redirects to their own sites. Sites like Forbes welcome a huge number of contributors, but many of them still carry the internet journalistic standard, so readers often believe they’re reading something totally impartial and objective. Take advantage of that assumption and find the news sites and blog networks where you can become a contributor. Here we see Ryan Stewart with a contribution on a highly debatable topic that’s generated a lot of traffic and attention for his brand. 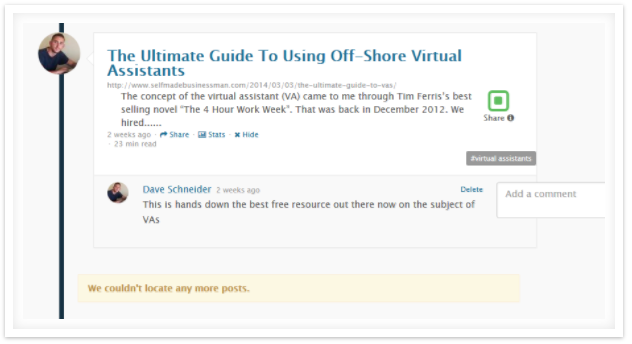 It’s a good idea to write some content that isn’t directly linked to your site, too. Otherwise, you will face some skepticism. Website owners help one another. Not just because they know the struggle, but because they know something is in it for them. 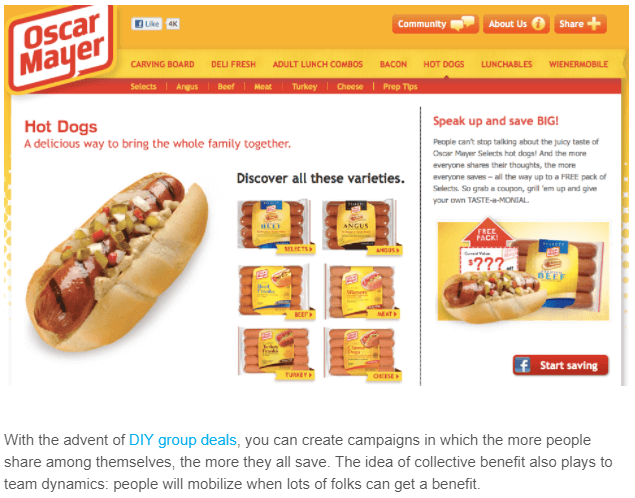 Community-driven groups like Triberr take out the negotiations and agreements. If you’re a member of a group, you’re expected to share content from other contributors and get your content shared by them as well. Targeted groups (or tribes) make sure you’re getting connected only to the most relevant of influencers, as well. The more you give to these systems, the more you get out of them. Don’t just share, but comment on them, as well. These comments, though planned in advance specifically for the purpose of improving traffic, create the illusion of organic conversation that compels more genuine users to get involved. Here are a video and an example of this tactic. Here is an example of Dave Schneider using Triberr and Twitter traffic from his post. 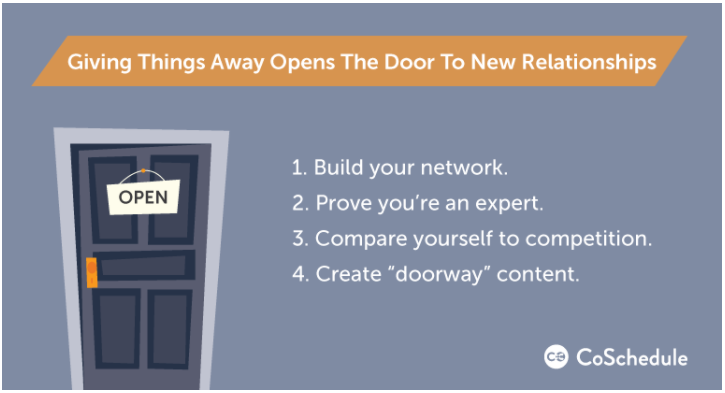 It’s not all about targeting brand new traffic, either. 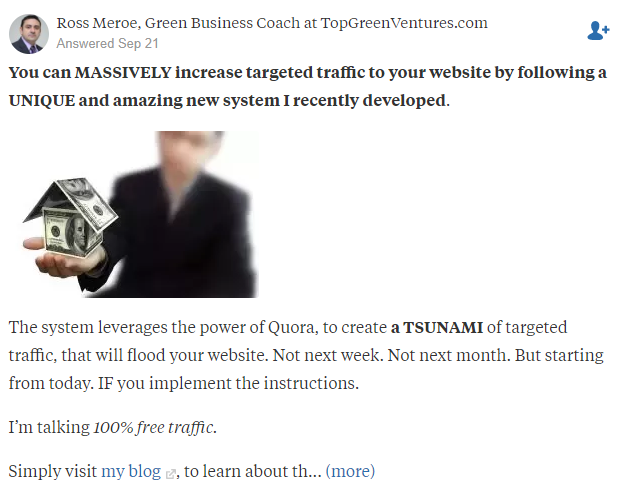 You should think about the extra traffic you can get from those who have already been to your website. 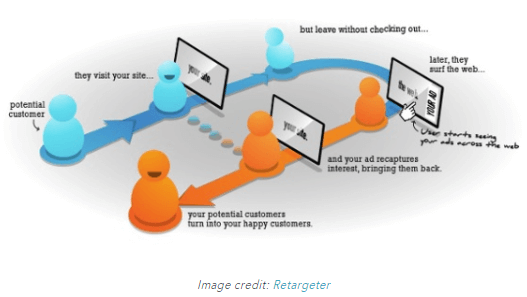 Retargeting isn’t as broadly known as PPC, SEO, or referral advertising. But it takes a much more direct approach. When people visit your website, the site leaves a cookie on their computer. That cookie is recognized by sites you can pay for retargeting, such as Facebook. 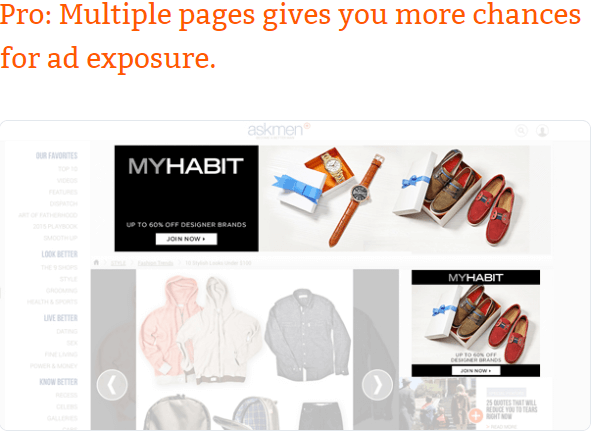 Then, when your visitors later visit those sites, your ad will be shown to them. Retargeting targets those who have already shown a keen interest and makes sure they follow up on it. 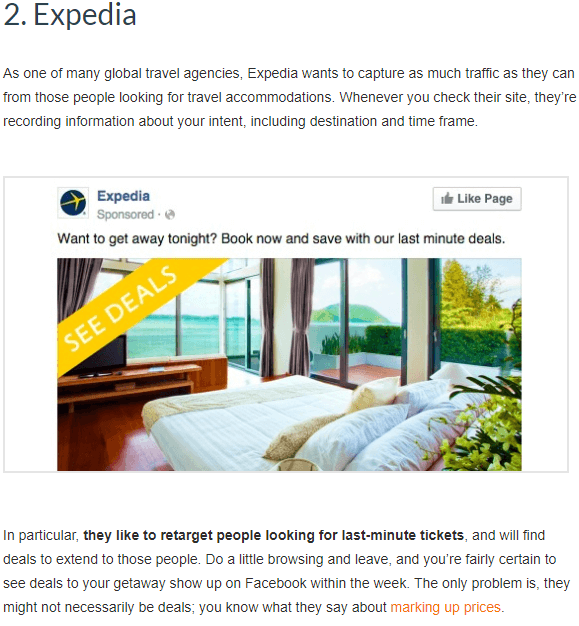 Here’s an explanation of how Expedia uses retargeting to offer deals to people looking for last-minute tickets. Popups, when used incorrectly, are not a force for good. 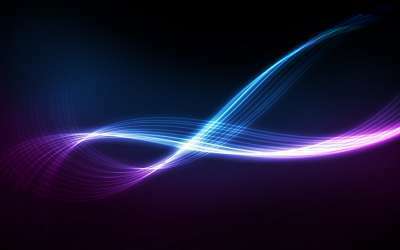 They interrupt the content and provide a barrier to visitors. People aren’t likely to take kindly to websites that ask for more clicks and more content consumption when they haven’t even finished with the page they’re on. That’s like borrowing money and then asking to borrow more before you’ve paid back the first loan. You can, however, wait until the reader has finished reading the content. 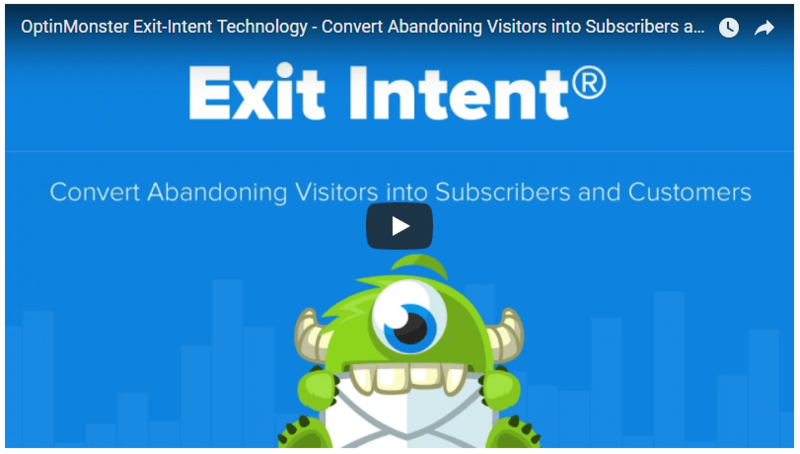 Exit-intent popups predict when visitors are about to close the page or click the back button on their browser before they appear. Make sure the popup has a strong call to action (and again, don’t be afraid to use the magic “free” word). 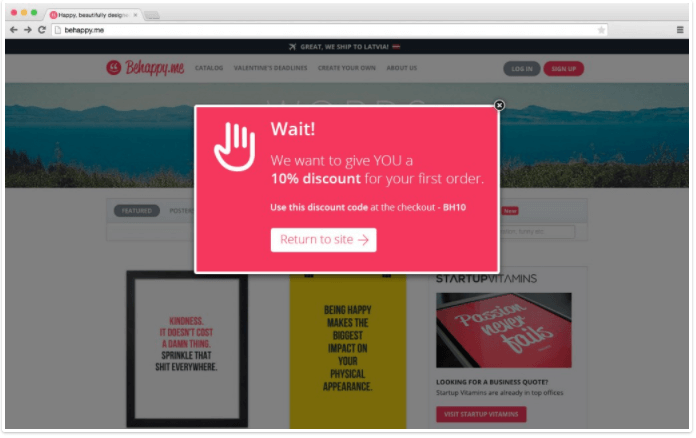 Here we can see a popup from behappy.me with a gentle reminder before you go or change your mind. 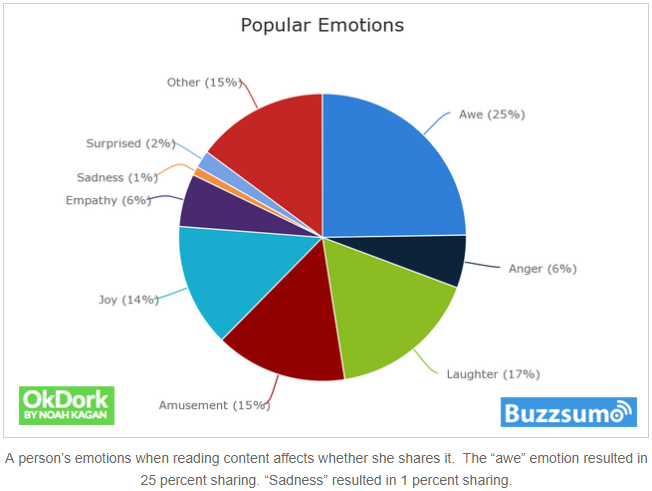 People love content that’s broken down into convenient, easy-to-read chunks. They feel the content not only delivers quality but a quantity of it as well. If you’re still using whole pages to host all your list format content, you might be doing it wrong. 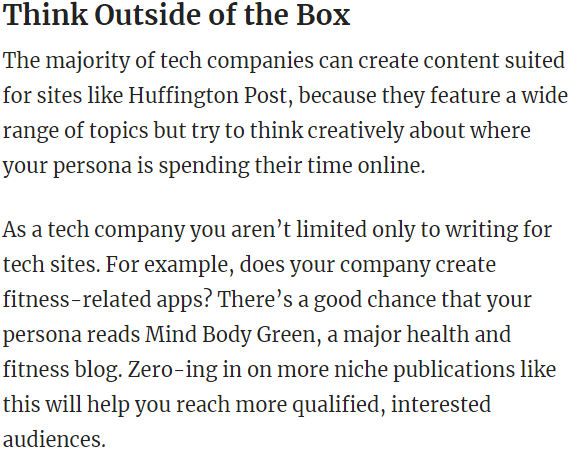 Instead, start cutting that content into chunks, put those chunks on separate pages, and add links in between them. Every time the reader is done with one point, they have to make a click to the other. Make sure every different page is populated with a different call to action, whether it’s a free eBook, an exclusive course, or information on a webinar you’re hosting later in the month. That way, you provide further incentive for additional clicks without interrupting the reader, even while they are in the midst of clicking through your content. Men’s Fitness, a well-trusted site on health advice, often splits their content when it comes to offering specific lifestyle tips. It’s a good example of how your content needs to be worth the extra clicks to earn them. This example from mensfitness.com shows multiple pages all related to one similar topic so you are encouraged to click around the site. Who doesn’t love free stuff? The vast majority of internet denizens certainly do. The truth is that time cost doesn’t factor into the thoughts of many users. When they see the word “free,” they’re much more likely to keep clicking. But the secret is that you don’t have to actually provide anything at a loss. You can create a free eBook simply by remarketing content you haven’t published yet. Instead of giving them a downloadable link, keep the eBook online and have it split across different pages. Similarly, offer free video and audio courses which provide a different context for content already provided on the site. This image shows a good example of attracting an audience with something free and how advanced paid options can be slipped in here and there. Once you’ve diverted traffic to your site, your next job is to think about how to keep it there. The sneaky methods above might get people in, but it’s quality content and design that convince them to stay. Make sure you’ve got the site to make the best use of the tricks above. About The Author: Paul Granger is a content writer at WebsitePromoter, a site that helps small businesses and website owners with advice on how to grow their reach online using SEO and Pay Per Click.